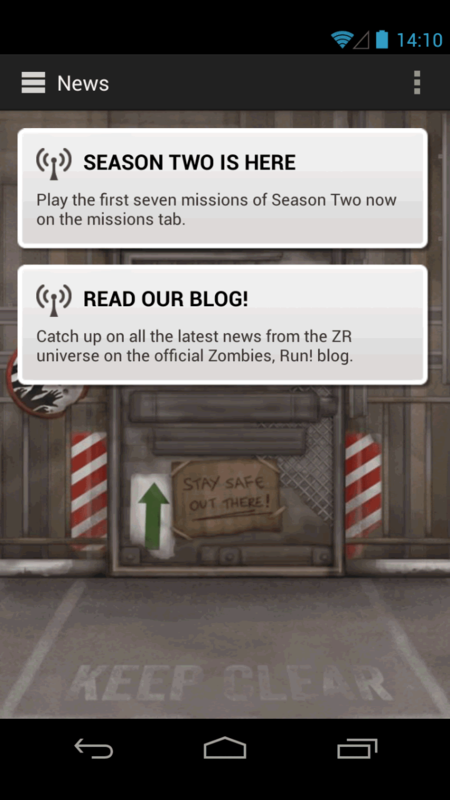 For owners of the app, this update brings a refreshed look to the UI, revamps the base-building experience, and adds seven new missions to the storyline. To keep your blood flowing, the developer will begin launching new episodes every week, starting April 29th. 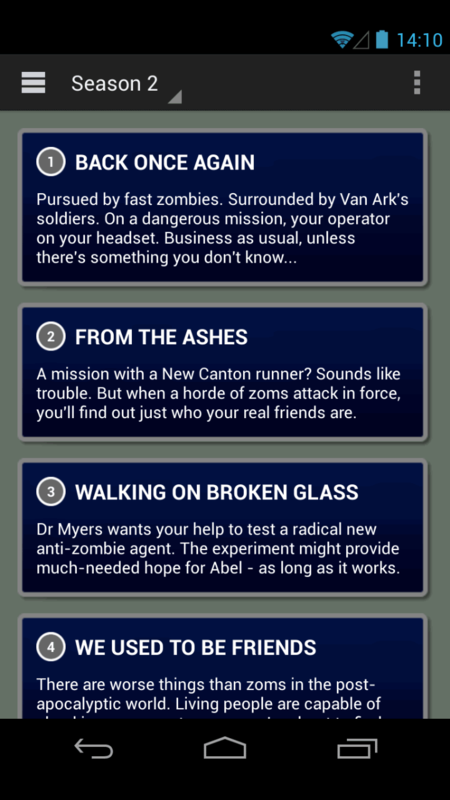 Unsurprisingly, to get in on the weekly expansions, runners will have to drop a few extra bucks in the form of in-app purchases. The prices are very reasonable considering the amount and quality of the content. - Season 2 begins! 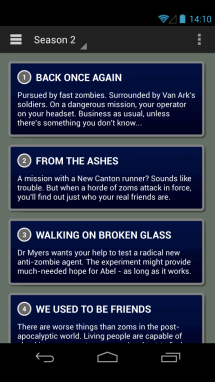 Seven free new missions, and new missions released weekly from April 29th. Find out what happened to Abel Township! 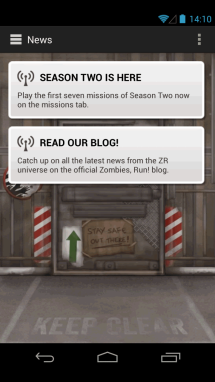 - Buy a Season Pass for access to the rest of the Season 2 missions as soon as they're released. Reviews in the Play Store indicate that the update is wiping out progress and causing some random crashes. If you already have time invested, it would be advised to wait on a fix before grabbing the new version. If you're on the fence about having brain-hungry monsters motivating you to work up a sweat, check out our review of the original version. 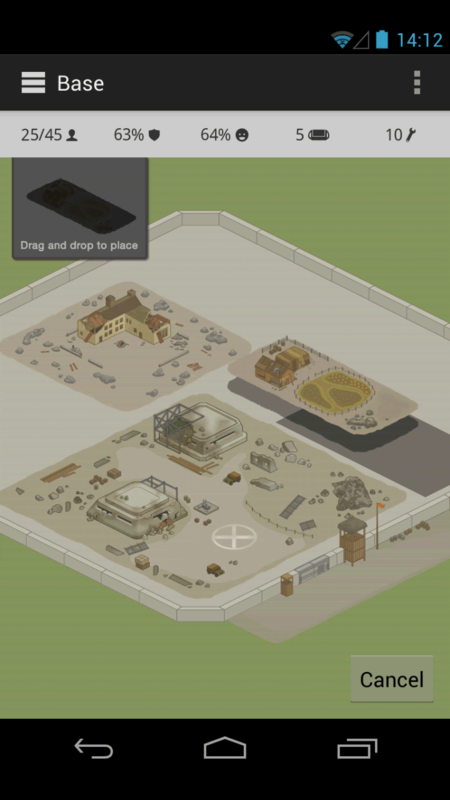 In celebration of the new season, the developer is putting the app (normally $7.99) and all IAPs on sale for half-off.